I don't normally review apps, to be honest I'm not app adventurous at all, but sometimes you find an app that works for you and genuinely changes the way you do things. Day One is a classic example of that. I downloaded Day One out of curiosity. I'd seen people rave about its use and versatility so I wanted to try it out for myself. 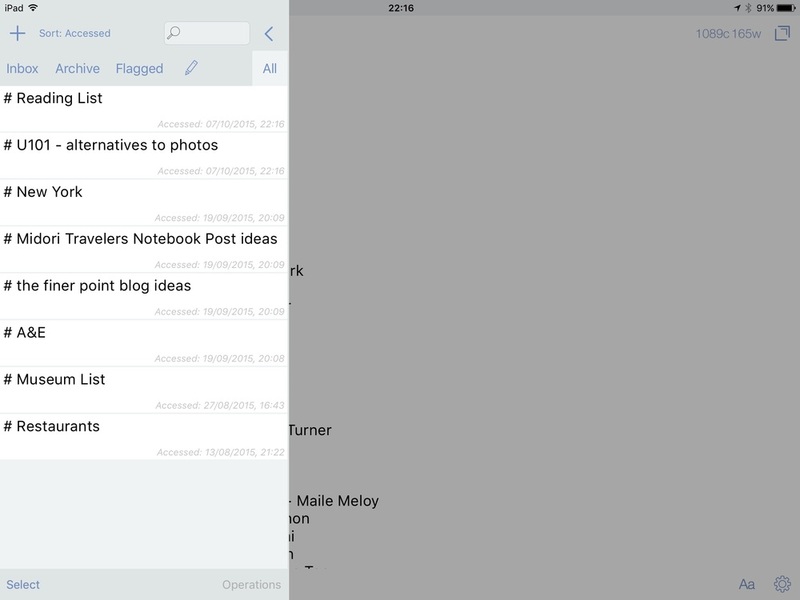 Journaling apps are not normally part of my setup, I don't use them and find them more a fad rather than a useful tool, but Day One is something else. The huge selling point for me is the inclusion of photos to a location, date, time and temperature, if that tickles your fancy. 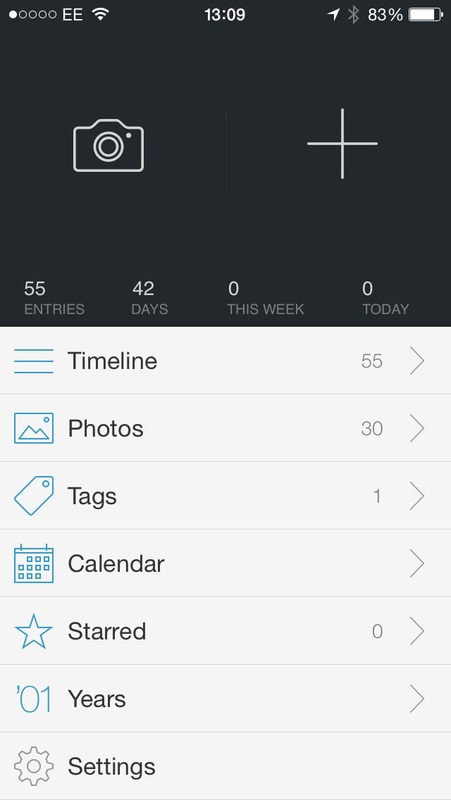 You can tag events and keep track of small and big moments through a quick journal log. This feature is great if you're travelling or like me going through a home renovation project. Below shows a screen shot of photos I have taken to track the progress on our bathroom renovation. I love this aspect as you can really see how much progress has been made on a project over a matter of days or weeks. Yes on the 9th Dec there was a hole in my ceiling. This was not supposed to be there! As this blog shows I am an advocate of analogue tools. Pen and paper are a part of my daily routine and are very, very unlikely to ever be replaced. There's something about Day One that enhances my analogue tools allowing me to add a photo to a thought or place that I cannot do with my pen and paper. The interface on Day One is lovely. I love the simplicity of the design and everything you need is accessible right there on the app home screen. You can customise the app to your requirements, sync to the cloud or export to a PDF if you require. This is all useful and the cloud backup is good but pretty standard. You don't really need to customise anything within this app, it's good to use right from download. I don't use Day One on a daily basis. Scrolling back through my timeline I have recorded Englands performance in the World Cup (they were dire), work frustrations, holiday photos, a bucket list, the birth of my niece, a good day here on the Finer Point and renovations of our new home. Some of these are trivial, some more poignant, but what matters here is that this app allows me to look back at these things and remember the finer points. My phone is always by my side, my vast array of filled notebooks are not. I would highly recommend this app to anyone. I predominately use this on my iPhone but apps are available for the iPad and Mac too so you can record your thoughts on all devices. There is definitely a place for a productivity app such as this in any pen addicts set up.